Yoga is so much more than just what you do on your mat. The word yoga means to connect. From a strictly “yoga class” standpoint, we know this as the connection between body, mind, and spirit. It’s the idea of creating wholeness because all parts of yourself are communicating with one another and working together. It might not be perfect, but a conversation is happening. Looking at the bigger picture, living your yoga is about more than just moving smoothly through a vinyasa because you’re paying attention to how your breath is guiding more intelligent actions for your body. I believe we should live yoga, everyday. You might not be here because you want to change the world. You’re probably here because you really love yoga and really want to do more yoga, but for one reason or another, find yourself not getting as much yoga as you want. Maybe you’ve just had a baby and getting to class is hard, but you still desperately want to move. Maybe you’ve moved to a new place and haven’t found a studio you like yet. Maybe you travel constantly and need to take your yoga with you, but you want the familiarity of the same teacher you like, no matter where in the world you go. The Conscious Healthy Collective is for you. I want yoga to change the world. And I want you to be a part of that change with me. Living your YOGA is learning how to take better care of yourself so that you rewrite the script for what healthy adulthood looks and feels like. Living your YOGA is recognizing that your personal actions have an impact on the world around you and acting more intentionally as a result. Living your YOGA is connecting to others in the world in the same meaningful way that you connect with yourself to build a more supportive, strong community. Join the Collective Now. Start your free trial. Note: Classes are tailored to your needs and are geared towards the time of day and the season they are recorded in. Why Do Live Online Yoga Classes? You can have your yoga teacher come to you, instead of going to your yoga teacher. You don’t have to drive in rush hour traffic to get to class! You can do the classes on your own time, not on the times the studio sets. Shorter classes make it easier to fit yoga into your schedule. Since you don’t have to leave your house, you can do yoga in your PJ’s. Or have more excuses to wear yoga clothes all day long. I love Naomi’s unique sequencing and styling. Great alignment cues. Always interesting themes- very real and authentic to you. Love the variety of poses! Feel that the sequences are smart, safe and challenging. 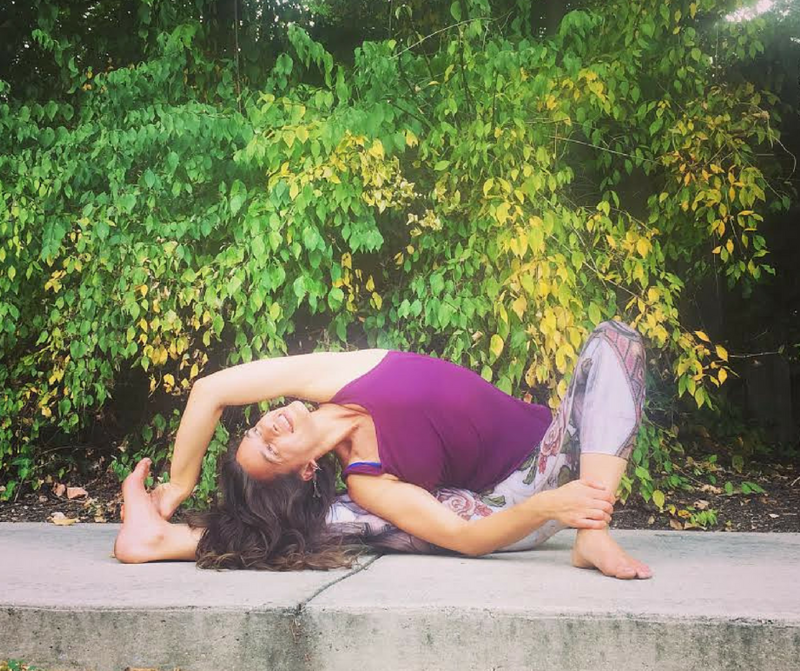 "I love the flow of your classes and how the earlier movement builds up to a pose or a goal. I feel like it really gets my body moving as a whole. Adding your classes into my routine did wonders for some of my back and neck issues. Plus they are really fun." "Naomi is one of the best yoga teachers I’ve ever practiced with (fantastic communicator, attention to details of form)! Also, I’ve come to find that online classes with a favorite teacher actually provide me with an opportunity to practice with you much more often than when you were in the area and it as difficult for me to attend to your classes. While nothing beats in person, I really like this mode of practicing yoga with you as my teacher." "Naomi’s instruction is clear and the focus on proper alignment creates a feeling of trust and safety while attempting new poses or sequences in her classes. Naomi consistently creates some of the best sequencing I’ve ever attempted, it’s creative and yet makes sense- Always bringing a smile to my face as I find myself in poses I never thought I could do!" Ok, first things first, is this membership just for moms? No. This membership is for everyone. My business is called “Conscious Healthy Mama,” but this membership program is open to anyone who wants a few yoga classes a week with me, whether you’re a mom or not. How much does it cost to join the Conscious Healthy Collective? Right now, it costs $28 monthly to join. And for active duty military or their family members, it costs $18 monthly. This includes national guard and coast guard, as well. When can I expect to be billed? Your Monthly Membership Includes: 2 Live Online Yoga Classes per week in Zoom and 1 Pre-Recorded Yoga Class every other week. The classes will be tailored to your requests and needs, so you get to have a say in what I teach. The classes will also be geared towards the time of day and the season they are recorded in to help you connect more with the rhythm of nature. Once recorded, the classes are housed in my online class archive, so you can watch them with ease whenever you need some yoga! Additionally, you get some great member bonuses! 1 live online Advanced Yoga Practice per month, 1 Pre-Recorded Meditation per month, and 1 Pre-Recorded Pranayama per month. Discounts on online yoga and self-care courses with me, Discounts on yoga retreats with me, and a supportive community created within our Private Facebook Group – a safe space to ask questions, get support, connect, inspire, and encourage one another. You’ll also receive a quarterly bonus from me! All of that sounds awesome, but also a lot. Do you have a slimmed down version with just a few classes per month? As a matter of fact, I do! 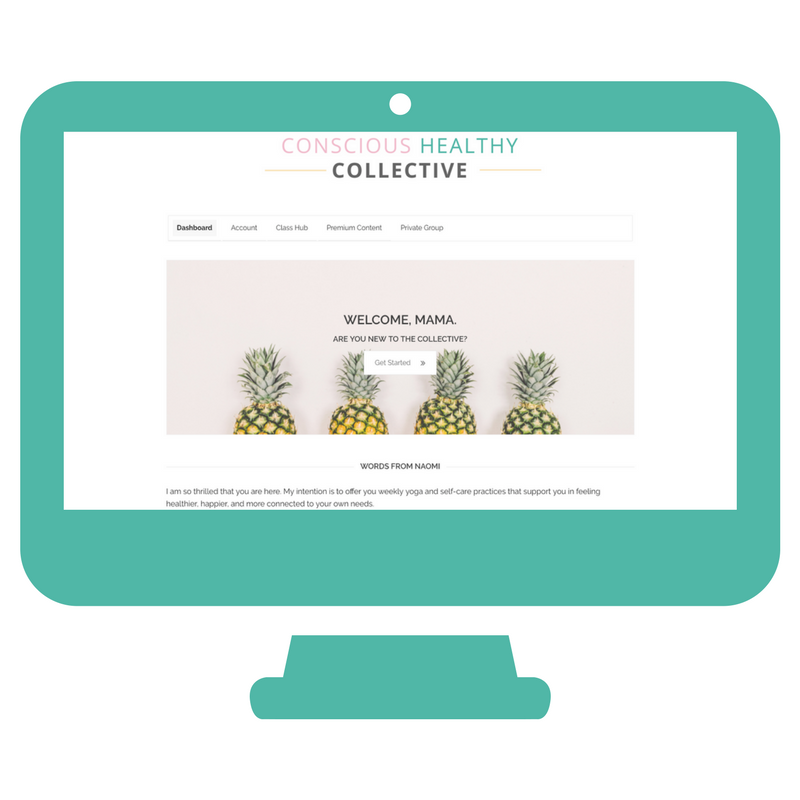 If you’d like to get access to all of the monthly bonuses (1 meditation, 2 15-minute classes, 1 pranayama, 1 live online advanced class), you can join my Conscious Healthy Collective Lite program. It’s $18 a month and gives you a big taste of what we’re working on each month. I am brand new to yoga. Is this membership program a good fit for me? This membership is geared more towards people who have some yoga experience. You’ll enjoy it a lot more if you have some yoga experience. If you want to get an idea of my teaching style while getting a good start to your yoga practice, check out my Yoga for Beginners series. 5 quick and easy yoga practices to help you lay a strong foundation of yoga so that when you’re ready you can join this membership program AND enjoy it, too! When will the live classes happen and how long are they? The live classes are currently scheduled for Sundays at 10:30am EST and Wednesdays at 8pm EST. The classes will be about 30 minutes long with an opportunity for a brief Q&A at the end of class. Tell me about the classes. What level will the classes be? What can I expect when I take the class? Will modifications be offered? Will I know what’s happening in the class in advance? The classes are intended for all levels, but will be geared towards an intermediate level of yoga practice. An intermediate level class will contain a strong foundation of the basic poses in yoga and will build on that foundation into slightly more complex or challenging poses. You might do some arm balances occasionally or deeper backbends, but mostly you’ll do some active warm-ups, some strong and steady yoga poses with very alignment offered, and a good cool down before a brief savasana (rest). Modifications will be offered so that all levels of practice are accommodated. If you let me know specifically what you need or how much yoga experience you have, I will have a better idea of how to offer modifications so you will be supported throughout the classes. If you join, you’ll have the ability to fill out a brief survey to let me know what your needs are. While I might not be able to tell you exactly what poses we’ll be doing in each class, I can give you a general idea. The Sunday morning classes will be a bit more dynamic, with a bit more flow and with slightly more challenging poses (backbend, arm balances, standing poses). The Wednesday evening class will be a little bit more chill, with a slower flow and slightly less difficult poses (hip openers, seated poses, forward bends). If I can’t attend the classes live, will I still be able to watch them? Of course! Once the classes are held, they’ll be added to the membership hub within 24hrs of recording. You’ll be able to find all of the classes recorded each month on the same page and each will have a brief description of the poses offered within the class. What is the video and sound quality like? Pretty great. My earliest online videos were really rough but I have recently invested in some tech equipment that will improve the sound and viewing of the videos. If you were a part of previous online yoga course, you can expect a higher level of video quality. Absolutely. You can cancel at any time (although pretty sure you’re going to want to stay). You can also “pause” your membership if you need to take a break for any reason (injury, extended travel, illness, extra busy-ness in life) and restart when you feel ready to join again. You can cancel at any time and you won’t be billed again unless you rejoin the membership. However, a cancellation does not refund the previous month’s charges because content was already delivered for you! Sounds fair, right? Oh, have we met? I’m Naomi! I’m a mom, a yoga teacher, a self-care advocate, an activist, and a total star trek nerd. I’ve been practicing yoga for 18 years and teaching for 13. 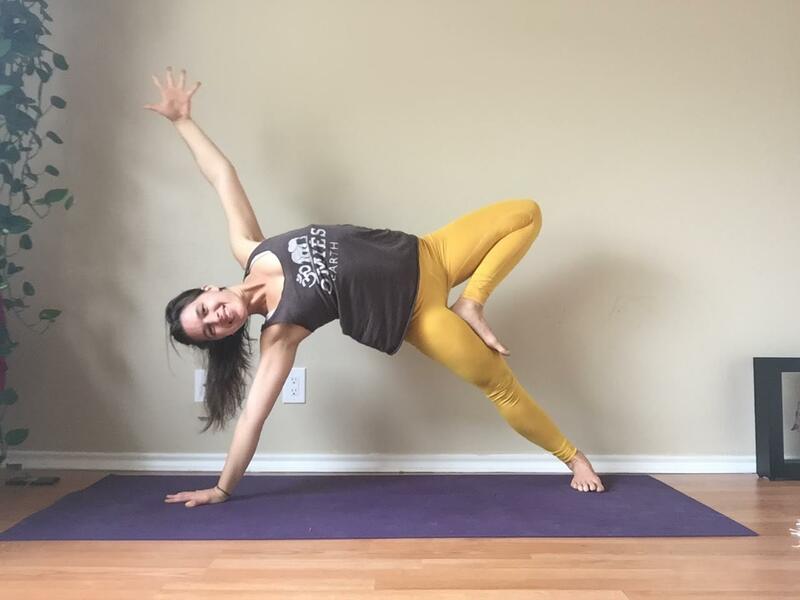 I am known for my creative and intentionally sequenced yoga classes, as well as my belief that laughter, sound effects, and animal noises that correspond with their yoga poses make yoga more fun. I love helping people discover their own capacity for transformation on their yoga mat, as well as in their lives. I think yoga can be an empowering practice, whether you want to learn how to balance on your hands or whether you want to learn to find more peace. Yoga can teach you how to take your own healing into your own hands, which is a really powerful skill to tap into. 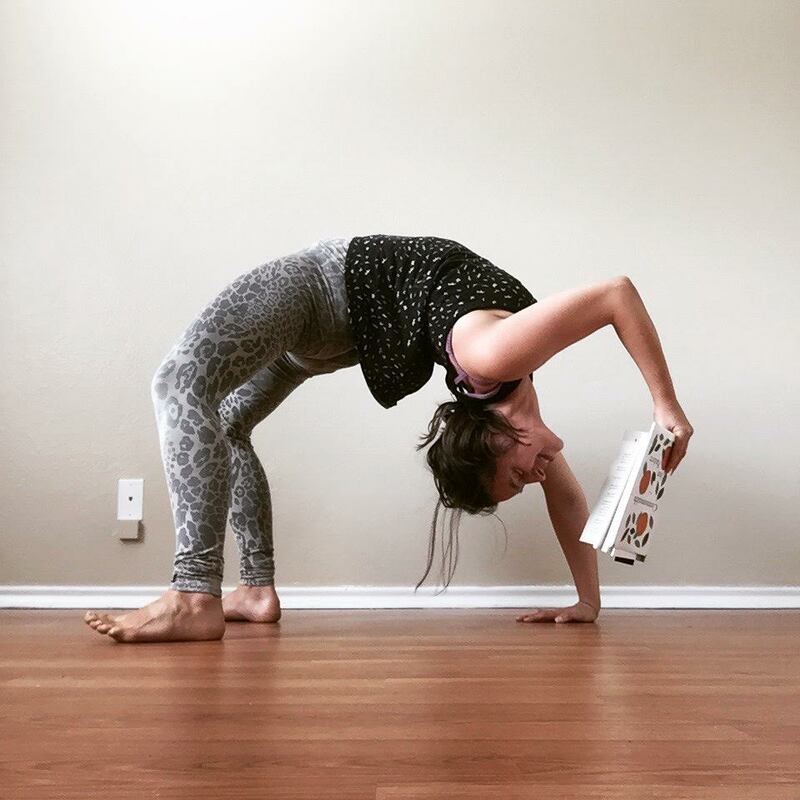 One of my favorite things about teaching yoga is making yoga fun and accessible for everybody I work with. And I am passionate about helping people figure out how to make space in their busy lives for a daily yoga practice.